Alaskan husky Nanook shot to fame last week when word of the pup's heroic rescue of a deaf hiker in the frozen back country spread around the world. But his owner soon found out that wasn't Nanook's first -- not by a long shot. 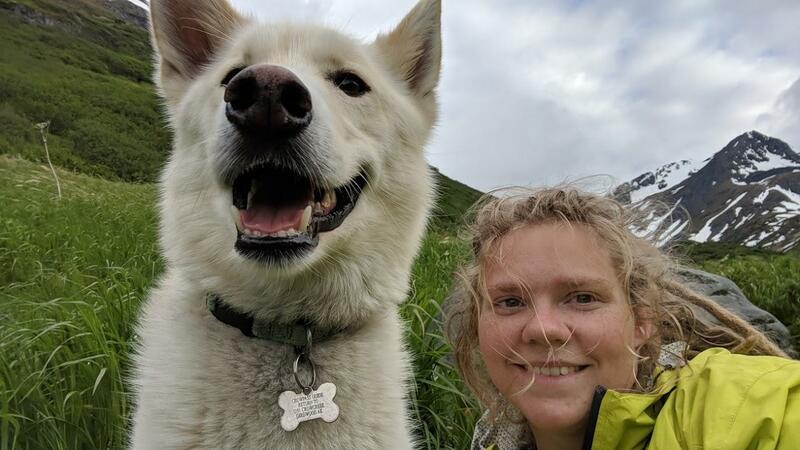 Nanook's owner, Scott Swift, told CBS Anchorage affiliate KTVA-TV his pet always looks toward the trail head of the 24-mile long Crow Pass Trail, which begins about half-a-mile from his home in Girdwood, Alaska. "I swear he just looks for cars that go by and runs up after them and goes on an adventure," said Swift, "I just let him do his thing." Last week, Rochester Institute of Technology student Amelia Milling was on a three-day solo hike on the trail when she lost her footing and plummeted 600 feet down an icy mountain. That's when Nanook appeared, seemingly out of nowhere, and guided her back to the main path. The husky kept hiking with her and, a few miles later, she slipped trying to cross a freezing river. Nanook rescued her a second time, jumping in the frigid waters and paddling her to safety, where she jumped in her sleeping bag to stay warm, reports CBS affiliate KTVA-TV. But, she wasn't safe, not yet, and Nanook knew something was wrong. Amelia's mother, Sharon Milling, told CBS ffiliate KTYX-TV "She thought she was going to lie there until she recovered and then she would sit up and kind of gauge where she was at. She just wasn't recovering. The dog kept licking her." Amelia, huddled in her sleeping bag, called for help. She hit the "SOS" button on her satellite messenger and struggled to stay awake until a helicopter arrived to get her. Alaska State Trooper Lt. Eric Olsen was part of the team who responded to Amelia's SOS. He said Nanook was waiting with her when they arrived. "Nookie was nothing short of a modern-day, Lassie (type) hero," Olsen told KTVA-TV. The husky completes the trail with strangers so much, about ten times a year, that Nanook's owner engraved his collar with the title "Crow Pass Guide Dog." It wasn't until recently that Swift learned his pet was doing much more than keeping hikers company -- he was saving their lives. Swift says he knows his dog has saved three other hikers, and he "kinda wouldn't doubt if there's more out there." Swift started a Facebook page for the pup to find other people he'd helped. Within a few days, he heard dozens of stories. Nanook wasn't trained by Swift to be a rescue dog. Swift said he got the husky at an adopt-a-pet event in a local Walmart parking lot, KTVA-TV says. While the pup may have been rescued by his owner, Nanook has made it his life mission to rescue others.